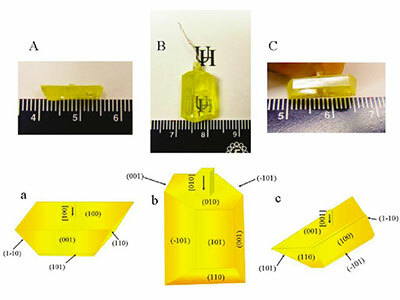 Zhu, T., Khalsa, G., Havas, D., Gibbs, A., Zhang, W., Halasyamani, P.S., Benedek, N., Hayward, M., Cation Exchange as a Mechanism to Engineer Polarity in Layered Perovskites, Chem. Mater., 30, 8915-8924, 2018. Liu, H., Zhang, W., Halasyamani, P.S., Stokes, H., Campbell, B., Evans, J., and Evans, I., Understanding the behavior of the room-temperature molecular ferroelectric 5,6-dichloro-2-methylbenzimidazole using symmetry adapted distortion mode analysis, J. Am. Chem. Soc., 41, 13441-13448, 2018. 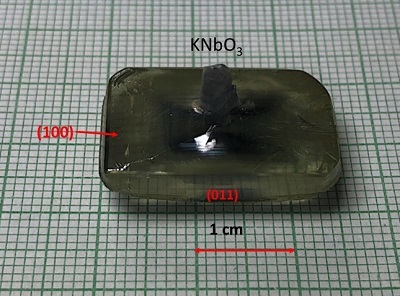 Ding, F., Nisbet, M.L., Zhang, W., Halasyamani, P.S., and Poeppelmeier, K.R., Why Some Non-centrosymmetric Borates Do Not Make Good Nonlinear Optical Materials - A Case Study with K3B5O8(OH)2, Inorg. Chem., 57, 11801-11808, 2018. Tsujimoto, Y., Juillerat, C.A., Zhang, W., Fujii, K., Yashima, M., Halasyamani, P.S., zur Loye, H.-C., Function of Tetrahedral ZnS3O Building Blocks in the Formation of SrZn2OS2: A Phase Matchable Polar Oxysulfide with Twice the SHG Intensity of Potassium Dihydrogen Phosphate (KDP), Chem. Mater., 30, 6486-6493, 2018. Shanbhag, P.N., Nagesha, C., Rao, R., Tran, T.T., Halasyamani, P.S., and Athinarayanan, S., High Pressure Synthesis and Magnetic Properties of Corundum-type Ga1-xAlxFeO3 (x = 0, 0.25, 0.5), J. Solid State Chem., 265, 79-84, 2018. Ding, F., Nisbet, M., Yu, H., Zhang, W., Chai, L., Halasyamani, P.S., and Poeppelmeier, K.R., Synthesis, Structures and Properties of Noncentrosymmetric Quaternary Tellurates BiMTeO6 (M = Al, Ga), Inorg. Chem., 57, 7950-7956, 2018. Halasyamani, P.S. and Rondinelli, J.M., The must-have and nice-to-have requirements of technologically functional frequency doubling deep-UV crystals, Nat. Commun., DOI: 10.1038/s41467-018-05411-1, 2018. Tolman, W. and Halasyamani, P.S., The Five Stages of Rejection, Inorg. Chem., 57, 4789-4790, 2018. 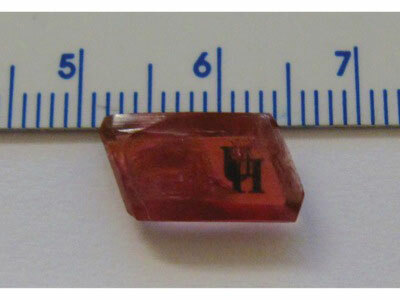 Liu, L., Young, J., Smeu, M., and Halasyamani, P.S., Ba4B8TeO19 - A UV Nonlinear Optical Material, Inorg. Chem., 57, 4771-4776, 2018. Yu, H., Koocher, N.Z., Rondinelli, J.M., and Halasyamani, P.S., Pb2BO3I: A Borate Iodide with the Largest Second‐Harmonic Generation (SHG) Response in the KBe2BO3F2 (KBBF) Family of Nonlinear Optical (NLO) Materials, Angew. Chemie, 57, 5955-6351, 2018. Halasyamani, P.S. and Zhang, W., Viewpoint: Inorganic Materials for UV and Deep-UV Nonlinear Optical Applications, Inorg. Chem., 56, 12077-12085, 2017. Zhu, T., Cohen, T., Gibbs, A., Zhang W., Halasyamani, P.S., Hayward, M., and Benedek, N., Theory and Neutrons Combine to Reveal A Family of Layered Perovskites Without Inversion Symmetry, Chem. Mater., 29, 9489-9497, 2017. Zhang, R., Gibbs, A. S., Zhang, W., Halasyamani, P.S., and Hayward, M.A., Structural modification of the cation-ordered Ruddlesden-Popper phase YSr2Mn2O7 by cation exchange and anion insertion, Inorg. Chem., 56, 9988-9995, 2017. Wu, H., Yu, H., Pan, S., and Halasyamani, P.S., A Deep-Ultraviolet NLO Material K3Sr3Li2Al4B6O20F: Addressing the Structural Instability Problem in KBe2BO3F2, Inorg. Chem., 56, 8755, 2017. Zhang, W. and Halasyamani, P.S., Crystal Growth and Optical Properties of a UV Nonlinear Optical Material KSrCO3F, CrystEngComm, 19, 4742, 2017. Wu, H., Yu, H., Zhang, W., Cantwell, J., Poeppelmeier, K.R., Pan, S., and Halasyamani, P.S., Crystal Growth, Linear and Nonlinear Optical Properties of KIO3 . Te(OH)6, Cryst. Growth Des., 17, 4405, 2017. Ghara, S., Suard, E., Francois, F., Tran, T.T., Halasyamani, P.S., Iyo, A., Rodriguez-Carvajal, J., and Sundaresan, A., Ordered aeschynite-type polar magnets RFeWO6 (R = Dy, Eu, Tb, and Y): A new family of type-II multiferroics, Phys. Rev. B., 95, 224416, 2017. 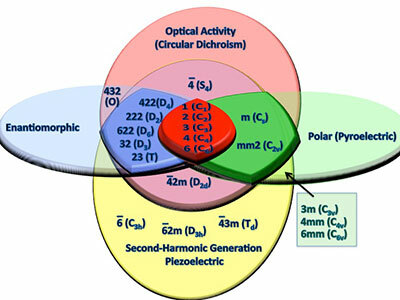 Zhang, W., Yu, H., Wu, H., and Halasyamani, P.S., Phase-Matching in Nonlinear Optical Compounds: A Materials Perspective, Chem. Mater., 29, 2655-2668, 2017. 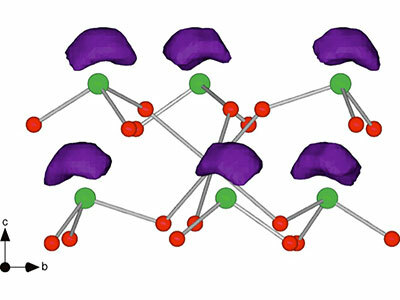 Yu, H., Young, J., Wu, H., Zhang, W., Rondinelli, J.M., and Halasyamani, P.S., M4Mg4(P2O7)3 (M = K, Rb): Structural Engineering of Pyrophosphates for NLO Applications, Chem. Mater., 29, 1845-1855, 2017. Wu, H., Yu, H., Zhang, W., Cantwell, J., Poeppelmeier, K.R., Pan, S., and Halasyamani, P.S., Top-Seeded Solution Crystal Growth, Linear and Nonlinear Optical Properties of Ba4B11O20F (BBOF), Cryst. Growth Des., 17, 1404-1410, 2017. Tran, T.T., Koocher, N.Z., Rondinelli, J.M., and Halasyamani, P.S., Be-free β-Rb2Al2B2O7 (β-RABO) as a Possible Deep-Ultraviolet Nonlinear Optical Material Replacement for KBe2BO3F2 (KBBF), Angew. Chemie, 56, 2969-2973, 2017. Olchowka, J., Colmont, M., Aliev, A., Tran, T.T., Halasyamani, P.S., Hagemann, H.R., and Mentré, O., New oxo-centered bismuth oxo-arsenates; Critical effect of PO4 for AsO4 substitution, CrystEngComm, 19, 936-945, 2017. Tran, T.T., Young, J., Rondinelli, J.M., and Halasyamani, P.S., Mixed-Metal Carbonate Fluorides as Deep-Ultraviolet Non-linear Optical Materials, J. Am. Chem. Soc., 139, 1285-1295, 2017. Khatri, N., Pablico-Lansigan, M., Boncher, W., Mertzman, J., Labatete, A., Grande, L., Wunder, D., Prushan, M., Zhang, W., Halasyamani, P.S., de-Bettencourt-Dias, A., and Stoll, S., Luminescence and NonLinear Optical Properties in Copper (I) Halide Extended Networks, Inorg. Chem., 55, 11408-11417, 2016. Cochrane, A.K., Telfer, M., Dixon, C. A. L., Zhang, W., Halasyamani, P.S., Bousquet, E., and Lightfoot, P., NdBaScO4: aristotype of a new family of geometric ferroelectrics, Chem. Commun., 52, 10980-10983, 2016. Zhang, R., Abbet, B.M., Read, G., Lang, F., Lancaster, T., Tran, T.T., Halasyamani, P.S., Blundell, S.J., Benedek, N.A., and Hayward, M.A., La2SrCr2O7: Controlling the tilting distortions of n = 2 Ruddlesden-Popper phases through A-site cation order, Inorg. Chem., 55, 8951-8960, 2016. Tran, T.T., Yu, H., Rondinelli, J.R., Poeppelmeier, K.R., and Halasyamani, P.S., Deep Ultraviolet Nonlinear Optical Materials, Chem. Mater., 28, 5238-5258, 2016. Zhang, W., Yu, H., Cantwell, J., Wu, H., Poeppelmeier, K.R., and Halasyamani, P.S., LiNa5Mo9O30: Crystal Growth, Linear and Non-linear Optical Properties, Chem. Mater., 28, 4483-4491, 2016. Yu, H., Cantwell, J., Wu, H., Zhang, W., Poeppelmeier, K.R., and Halasyamani, P.S., Top-Seeded Solution Crystal Growth, Morphology, Optical and Thermal Properties of Ba3(ZnB5O10)PO4 (BZBP), Cryst. Growth Des., 16, 3976-3982, 2016. Yu, H., Young, J., Wu, H., Zhang, W., Rondinelli, J.M., and Halasyamani, P.S., Electronic, Crystal Chemistry, and Nonlinear Optical Property Relationships in the Dugganite A3B3CD2O14 Family (A = Sr, Ba or Pb; B = Mg or Zn; C = Te or W, and D = P or V), J. Am. Chem. Soc., 138, 4984-4989, 2016. 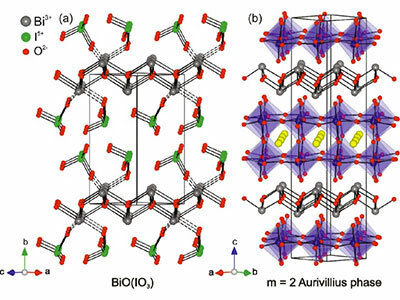 Kim, H.G., Tran, T.T., Choi, W., You, T.-S., Halasyamani, P.S., and Ok, K.M., Two New Noncentrosymmetric (NCS) n = 3 Layered Dion-Jacobson (DJ) Perovskites: Polar RbBi2Ti2NbO10 and Nonpolar CsBi2Ti2TaO10, Chem. Mater., 28, 2424-2432, 2016. Yu, H., Zhang, W., and Halasyamani, P.S., Large Birefringent Materials: Na6Te4W6O29 and Na2TeW2O9 - Synthesis, structure, crystal growth, and characterization, Cryst. Growth Des., 16, 1081-1087, 2016. Yu, H., Zhang, W., Young, J., Rondinelli, J.M., and Halasyamani, P.S., Bidenticity Enhanced Second Harmonic Generation from Pb-Chelation in Pb3Mg3TeP2O14, J. Am. Chem. Soc., 138, 88-91, 2016. McCabe, E.E., Bousquet, E., Stockdale, C.P.J., Deacon, C.A., Tran, T.T., Halasyamani, P.S., Stennett, M.C., Hyatt, N.C., Synthesis, structure and properties of CsBi2Ti2NbO10: A new layered perovskite proper ferroelectric, Chem. Mater., 27, 8298-8309, 2015. Zhang, W. and Halasyamani, P.S., Top-seeded solution crystal growth of Noncentrosymmetric and Polar Zn2TeMoO7 (ZTM), J. Solid State Chem., In Press, 2015. 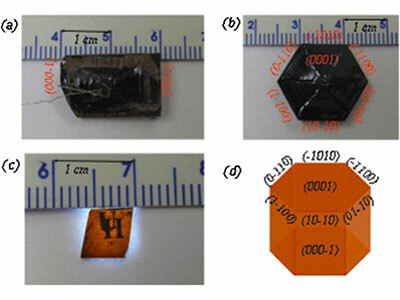 Tran, T.T., He, J., Rondinelli, J.M., and Halasyamani, P.S., RbMgCO3F - A New Deep-Ultraviolet Nonlinear Optical Material, J. Am. Chem. Soc., 137, 10504-10507, 2015. Gerke, B., Tran, T. T., Pottgen, R., and Halasyamani, P.S., 119Sn Mossbauer Spectroscopy of Solveothermally Synthesized Fluorides ASnF3 (A = Na, K, Rb, Cs), Z. Naturforsch., 70, 765-767, 2015. 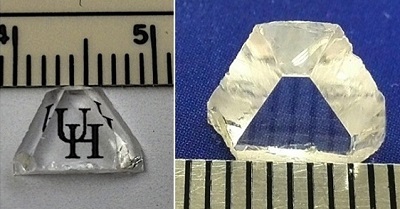 Latshaw, A.M., Wilkins, B.O., Hughey, K.D., Yeon, J., Williams, D.E., Tran, T.T., Halasyamani, P.S., and zur Loye, H.-C., A5RE4X[TO4]4 Crystal Growth and Photoluminescene. Part 2. Fluoride Flux Synthesis of Sodium and Potassium Rare Earth Silicate Oxyfluorides, CrystEngComm, 17, 4654-4661, 2015. 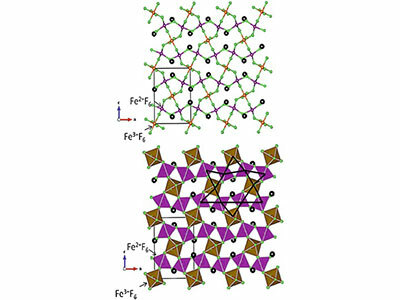 Kim, S.W., Zhang, R., Halasyamani, P.S., and Hayward, M.A., K4Fe3F12: An Fe2+/Fe3+ charge-ordered, ferrimagnetic fluoride with a cation-deficient, layered perovskite structure, Inorg. Chem., 54, 6647-6652, 2015. Morrison, G., Smith, M.D., Tran, T.T., Halasyamani, P.S., and zur Loye, H.-C., Synthesis and Structure of a New Pentanary Uranium (VI) Silicate: K4CaUSi4O14, CrystEngComm. 17, 4218-4224, 2015. Yu, H., Wu, H., Jing, Q., Yang, Z. Halasyamani, P. S., and Pan, S., Polar Polymorphism: α-, β-, and γ- Pb2Ba4Zn4B14O31 - Synthesis, Characterization, and Nonlinear Optical Properties, Chem. Mater., 27, 4779-4788, 2015. Cortese, A., Wilkins, B., Smith, M., Yeon, J., Morrison, G., Tran, T.T., Halasyamani, P.S., and zur Loye, H.-C., Crystal Growth of Four Oxovanadium(IV) Tartrates Prepared via a Mild Two Step Hydrothermal Method: Observation of Spin Dimer Behavior and Second Harmonic Generation, Inorg. Chem., 54, 4011-4020, 2015. 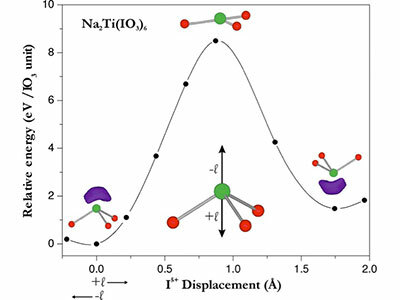 Kim, Y.H, Tran, T.T., Halasyamani, P.S., and Ok, K.M., Macroscopic polarity control with alkali metal cation size and coordination environment in a series of tin iodates, Inorg. Chem. Frontiers, 2, 361-368, 2015. Mandal, P., Manjob-Sanz, A., Corkett, A.J., Comyn, T.P., Dawson, K., Stevenson, T., Bennett, J., Henrichs, L.F., Bell, A.J., Nishibori, E., Takata, M., Zanella, M., Dolgos, M.R., Adem, U., Wan, X., Pitcher, M.J., Romani, S., Tran, T.T., Halasyamani, P.S., Claridge, J.B., and Rosseinsky, M.J., Morphotropic Phase Boundary in the Pb-Free (1-x)BiTi3/8Fe2/8Mg3/8O3 - xCaTiO3 System: Tetragonal Polarization and Enhanced Electromechanical Properties, Adv. Mater., 27, 2883-2889, 2015. 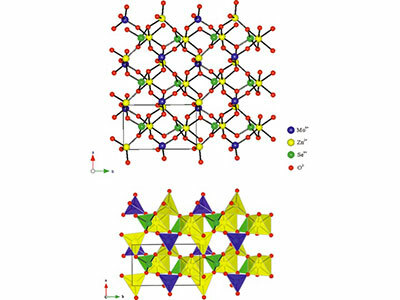 Donakowski, M.D., Gautier, R., Lu, H., Tran, T.T., Cantwell, J., Halasyamani, P.S., and Poeppelmeier, K.R., Synthesis of Two Vanadium Oxide-Fluoride Materials that Differ in Phase Matchability, Inorg. Chem., 54, 765-772, 2015. Research in the Halasyamani group involves the synthesis, crystal growth, characterization, and structure-property relationships in new functional inorganic materials. 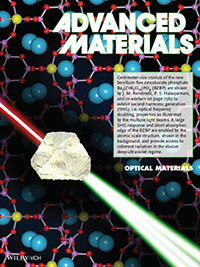 “New materials are the lifeblood of solid state research and device technology. Contrary to what many believe, new materials are not usually discovered by device engineers, solid state theorists, or research managers; they are mostly discovered by chemists. Some physical phenomena are only exhibited in single crystals and can only be studied and understood in single crystals. Thus the synthetic chemist - especially if he develops a proficiency in relating structure, bonding and other chemo-physical considerations to properties of interest - is in a key position in determining the direction and success of solid state research and - ultimately - technology.” (Dr. Robert Laudise - Bell Labs).